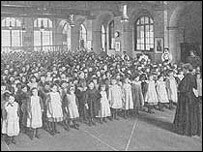 How were the schools for Children & their Education? One of the good things you could say about the Victorian era it was that they started to place value on a good education. 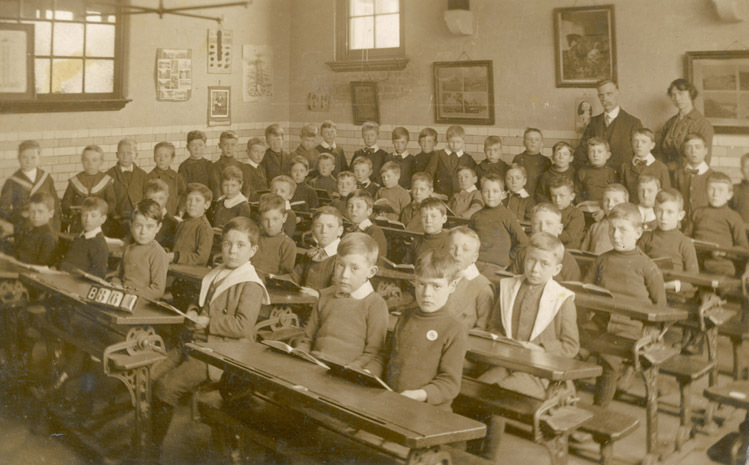 Early on in the Victorian era, there were very few kids that ever attended school at all. The majority of children who grew up in the early era never learned to read or write. Their jobs consisted of at staying home or working in harsh working conditions to put food on the table for themselves. The only time that they might receive any form of education would be at Sunday school where sometimes they were taught basic arithmetic and reading but the lack of consistent teaching and lack of funding by the government really left out the importance of learning such skills. The upper-class children had things a little bit easier. They were lucky enough to have Nannies that often looked after them. These Nannies were sometimes decently educated and would encourage them to read the readily available books that many homes had. By the age of 12, most upper-class boys were sent off for a better education. The girls would typically stay home with their mothers who would teach them the necessary skills of being a good wife. It was later on in the Victorian era that things began to change for all children. The government began to really see the importance of education. The numerous kids that were dying by diseases and other problems that likely stemmed from poor working conditions were now spending time in schools. In fact, it was mandated that all children under 12 had to attend school. The government had started programs which paid for public schooling. These schools taught basic arithmetic and reading as their primary topics for the most part. However, later on, geometry and more advanced topics, including trades such as woodwork and cooking became almost part of the curriculum.